Home > Blog > Online Marketing > Are You Doing Enough Online? Having a defined online marketing strategy is becoming more important for any business. Sometimes there seems to be so much online, it is difficult to sift through all the information to find out exactly what you need to be doing. This is a very brief idea of some channels, we think you should be focusing on. E-commerce in South Africa is growing at a rate of 30% per year according to research firm World Wide Worx. Internationally, the growth in online advertising is staggering. In 2012, revenue from internet advertising in the USA, totalled $36 billion. Our local advertising spend is not readily available but we do know it is growing year on year. If you have marketing in your bones, these stats should be something that appeal to you. To get on board with one of the fastest growing industries in the world is really quite simple. 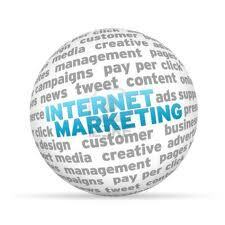 Online marketing or internet marketing is a way to promote your services or goods to customers who are online. Some channels include email newsletters, SEO (Search Engine Optimisation), Google AdWords and other forms of Pay Per Click advertising. Display advertising such as banner ads are also widely used online as well as social media advertising. Email newsletters are a cost effective way to communicate with your customers. Free tools such as Mail chimp will assist you with the process of creating a newsletter and these tools are used for sending the newsletter out. You will need a database, so if you haven’t already got one, start creating one now. Sending out a newsletter once or month or even fortnightly should suffice and if you are not a designer, then pay for a graphic designer to create a template for you. Always remember to keep your branding standard and your content interesting. Search Engine Optimisation (SEO) is a way to get your website ranked on search engines like Google. There are many facets to SEO, some content related and some technical aspects, we highly recommend you employ a professional to work on your SEO. Bad SEO can result in your website getting blacklisted so it is not something worth dabbling in. Results are not instantaneous but good SEO can really improve the number of visits to a website. PPC Advertising, which is mainly Google AdWords in South Africa can be done in-house or can be outsourced. Results and costs vary drastically depending on the competitive nature of the business which will affect the CPC (cost per click). Budgets can be set and therefore full control is granted to the advertiser and there are no minimum budgets set from Google. Display Advertising are the banner ads that one might see on news24.com and these can also be implemented through Google. Some websites such as ECR.co.za would use their own display advertising pricing guide and would not run this through Google. Prices may vary a lot with this advertising channel depending on the popularity of websites. Social Media advertising is largely content driven and is especially useful for brands wanting to communicate and engage with their target market. Social media sites such as Facebook also offer paid advertising options which are the adverts that appear, generally on the right hand side of the page.